The Roland MKS-20 Digital Piano was once a respected "realistic" piano module, but has given way to affordable samplers with mega RAM. 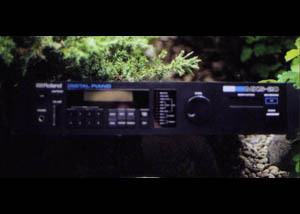 The MKS-20 ruled the '80s with its brother and sister digital pianos, the RD-1000 and RD-300. These digital pianos can still be heard on countless Elton John, country, and techno songs although lately even they are being replaced by samples of the original.